Remember the Samsung Galaxy Grand Prime (2016) that showed up on benchmarking websites GFXBench and Geekbench last month? 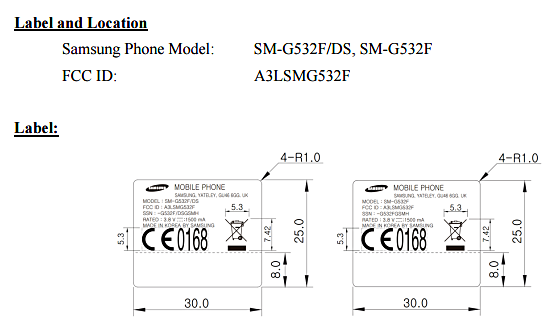 Well, the device has passed through the US FCC, revealing that there will be a dual SIM variant of the phone as well. 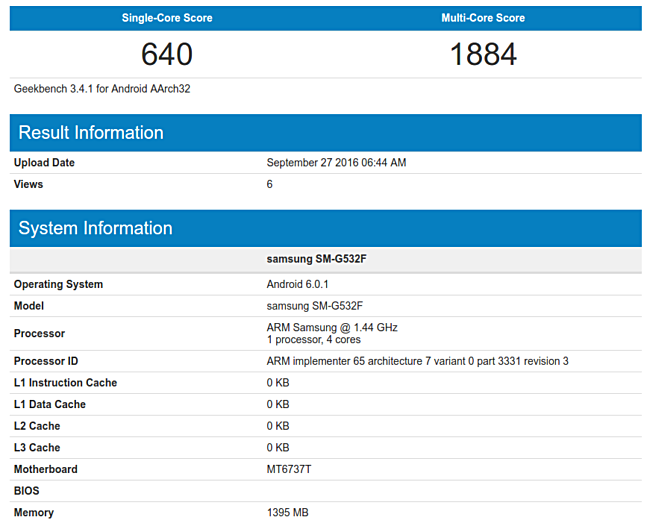 Meanwhile, the handset has again appeared on Geekbench, confirming Mediatek MT6737T chipset with quad-core 1.4GHz processor, 2GB RAM, and Android 6.0.1 Marshmallow. As for other key specs, the handset's GFXBench listing had revealed a 5-inch display with a resolution of 540 x 960 pixels, and an 8MP/5MP camera combo. The thing about Xiaomi is, it'll cost you very less and have more power and features than most costly junks from Shamesung. Jugding by the GFXBench listing, MT6737T is better than SD410. Don't know about power efficiency though. By the way, it doesn't have 2GB de RAM, but 1.5GB. Look at the amount of RAM in the Geekbench listing.